March 31, 2011  The new AMC drama The Killing tells the story of the murder of a young girl from three different perspectives. TV critic David Bianculli says the show is "AMC's most depressing series yet" — and explains why it reminds him of The X-Files, 24 and Twin Peaks. March 30, 2011  A number of celebrities have taken to live-tweeting while their pre-taped shows air — including Survivor host Jeff Probst, Mark Cuban on ABC's "Shark Tank," and Anthony Bourdain on Travel Channel's "No Reservations." The audience that has already sprung up on Twitter to turn watching their favorite show into a communal event can now interact directly with one of the people they're tweeting about. It restores the value of watching TV programming live as it airs at a time when secondary options from Hulu to iTunes to DVRs are draining the value of commercials. 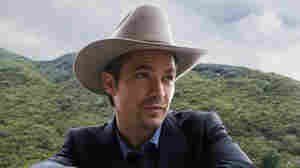 March 28, 2011  Actor Timothy Olyphant stars in the FX series Justified as Deputy U.S. Marshal Raylan Givens, a present-day lawman with Wild West instincts. Olyphant also starred in HBO's Deadwood as sheriff Seth Bullock. March 27, 2011  Since Sept. 11, 2001, Muslim-Americans have been disappointed about how they are portrayed in film and television. Now, the Muslim Public Affairs Council is putting on workshops with veteran Hollywood writers to teach Muslims how to write their own scripts. March 25, 2011  Last night's Community used a couple of iconic films to make a pretty important point about friendship. March 25, 2011  Kate Winslet stars in the new HBO miniseries, Mildred Pierce, a remake of the classic Joan Crawford film about an ambitious woman capable of anything — even murder. Director Todd Haynes discusses his version of the film on Morning Edition. March 24, 2011  As college basketball dives into the Sweet 16, March Madness has never been so crazy — or so rich. Despite a surge in players leaving for the NBA, the tournament is setting ratings and money records. March 23, 2011  Elizabeth Taylor had a complicated and unique relationship with African-American audiences, says guest blogger Jimi Izrael. 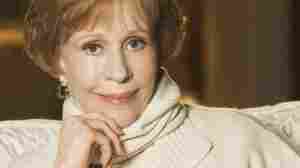 March 23, 2011  Before each taping of The Carol Burnett Show, the comedy queen stood on stage for a Q&A session with the audience. Burnett shares her favorite pre-show chats — and tales from her long career in show-biz — in her book This Time Together. March 23, 2011  Hollywood legend Elizabeth Taylor has died at the age of 79. The screen icon became a 12-year-old sensation in the movie, "National Velvet". She went on to star in 53 films, winning two Oscars for her work. In Tell Me More's occasional "Beautyshop" conversation, guest host Farai Chideya looks back on the Taylor's life and discusses a new survey on changing notions of beauty in America. Weighing in are Latoya Peterson, editor of Racialicious.com; Galina Espinoza, editorial director of Latina magazine, and Marcia Dawkins, visiting scholar at Brown University. 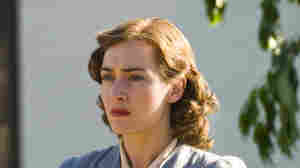 March 22, 2011  The HBO miniseries Mildred Pierce is based on the 1941 novel by James M. Cain, replacing Joan Crawford — who won an Oscar for the 1945 film version — with Kate Winslet. TV critic David Bianculli says Winslet does wonders with her role — and will be tough to beat, come Emmy season. Can 'Dancing With The Stars' Survive Without Any Stars? March 21, 2011  ABC's popular Dancing With The Stars returns tonight. Commentator Eric Deggans says that while the formula may look the same as always, the cast is lacking some of the elements it might need to be successful. Stars, for instance. March 20, 2011  In higher education, there are two kinds of March Madness: the NCAA basketball tournaments, and the anxiety that infects high school seniors as they wait for acceptance letters from their chosen colleges and universities. Host Liane Hansen speaks with Raynell Cooper, the current Jeopardy! teen champion, about how he has to continue waiting on pins and needles to see if he is going to get into his college of choice. March 20, 2011  With HBO's Big Love closing up shop on Sunday night, writer Mark Blankenship remembers the show's sensitive and serious original approach to its issues — and mourns its lapse into cartoonish archetypes.